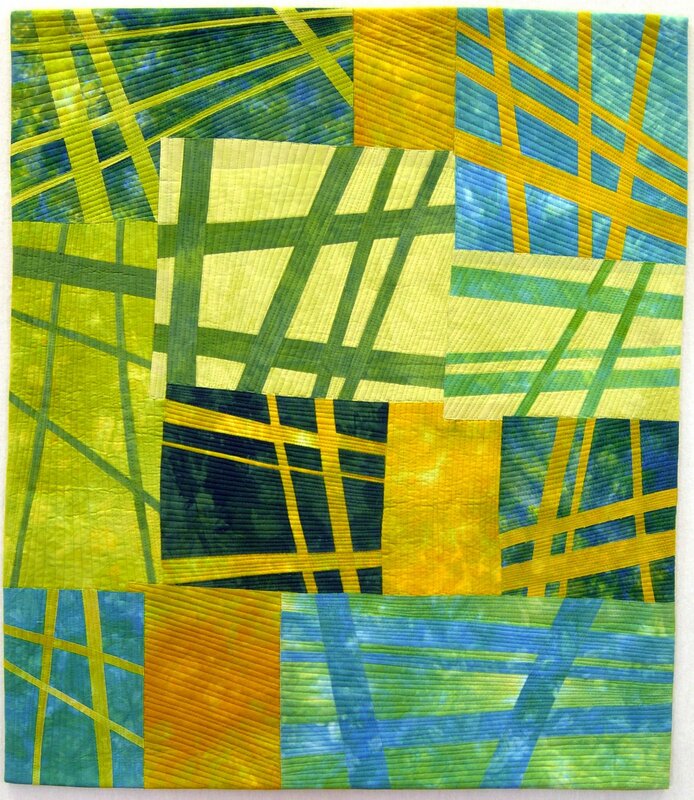 This "Jet Trails" quilt has been traveling for a year as part of SAQA's Fibrations exhibit. It was returned in excellent condition, and many thanks go to Kathy Lichtendahl, who curated and managed the exhibition. 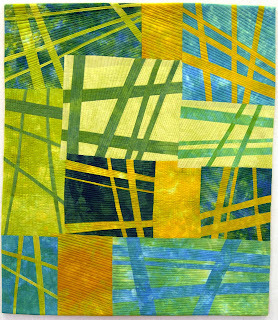 Forty-eight small works fiber pieces began their journey in Cody, Wyoming, at the 2009 Yellowstone Quilt Fest. From there they went to Golden, Colorado, for three months at the Rocky Mountain Quilt Museum. 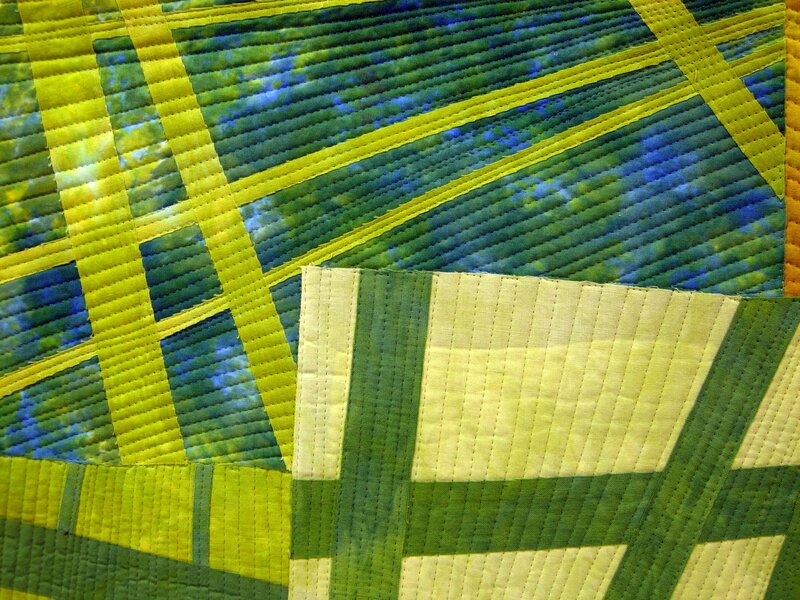 In February, 2010, the exhibit was delivered to Mancuso Show Management and spent the next four months traveling to Mid-Atlantic Quilt Festival, the Quilt Fest of New Jersey, and Denver National Quilt Festival. The final venue was at the National Quilt Association convention in Columbus, Ohio, in late June.